Serving Private International Banks, Online Financial Institutions, Savings and Loans, Credit Unions, Investment Funds Managers and Payment Processing Companies. Most competitive Banking Software pricing and fastest deployment on the market. spread out through 40 countries in 16 languages. Modular structure allows system growth parallel with business expansion. The Standard and enhanced CIP, CDD, KYC, AML, and OFAC/FATCA available. Grouping Users for dedicated Services, Fees, and Permission Based Administrators. NexorONE® can be deployed and fully functional in 24 hours. We have in-house dedicated developers and a customer support team. Additional services include the deployment of a Sandbox/Test Environment for training and demo purposes. For larger customers, we have Dev Environments to manage Production Deployments. To support the needs of today’s markets, NexorONE® integrates with global companies, systems integrators, and technology companies: We implement the highest security standards available to protect the operations and valuable customer data. Download our “Quick Guide to Exploring the NexorONE® Demo” PDF for a walkthrough of some of the system features. Access our online support resources such as Interface Support, Initial Configuration, Modules, and Integrations. 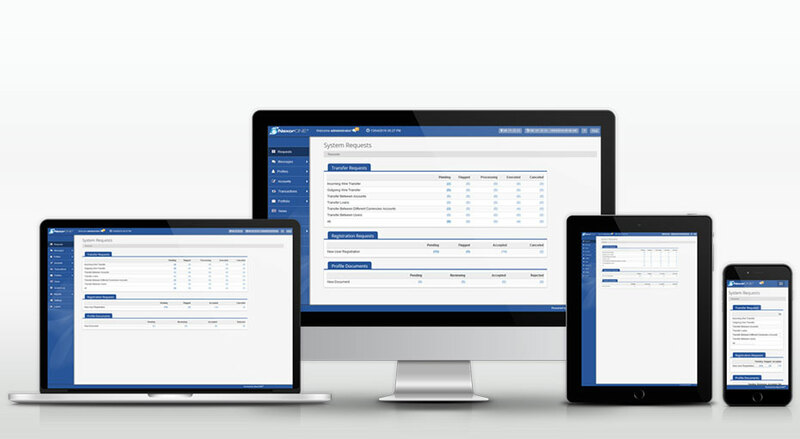 Access our Project Management System to track your ongoing custom development and Integrations. 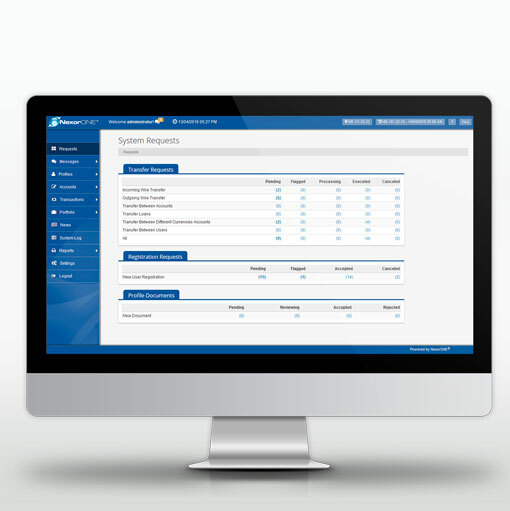 For external developers integrating with NexorONE®, we provide WSDL and API Documentation. Thank you for contacting us. A representative will get back to you by email promptly.